Here's a hand-drawn black cat with holographic purple manicure. 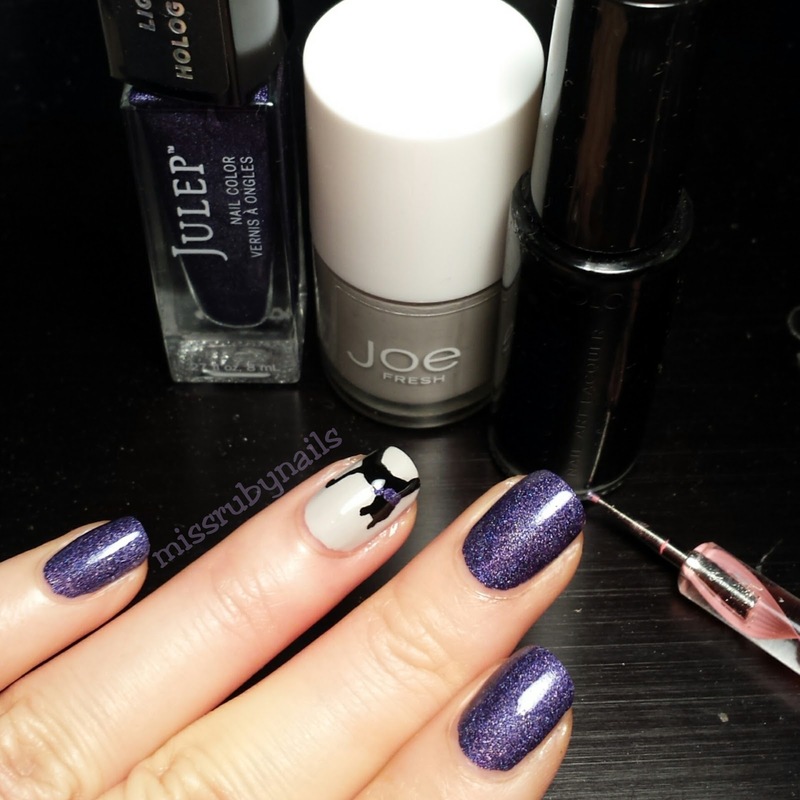 The gorgeous purple polish was Julep's Delores. It is from their liquid holographic line. 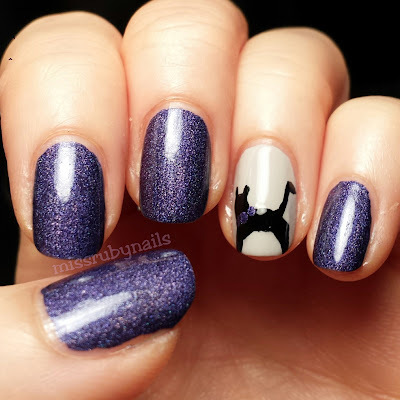 I saw this polish on my friend's nails and immediate knew I had to get it! Check out the video below for the awesomeness (might not work in some browsers)! On the accent finger, I changed it to a grey color so I can draw my kitty on. 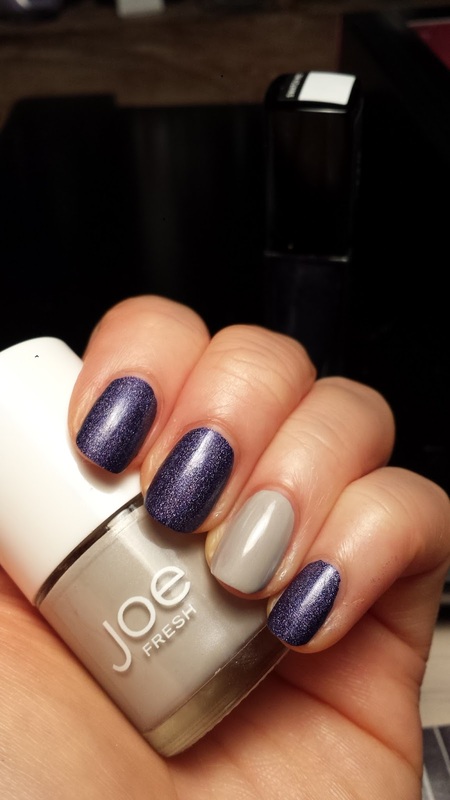 This polish was by Joe Fresh which I got on sale and was not expecting too much from this brand. But surprisingly it applies quite nicely and is comparable to other drugstore polishes! This was my first time drawing an animal's body on my nails and it took a little while. 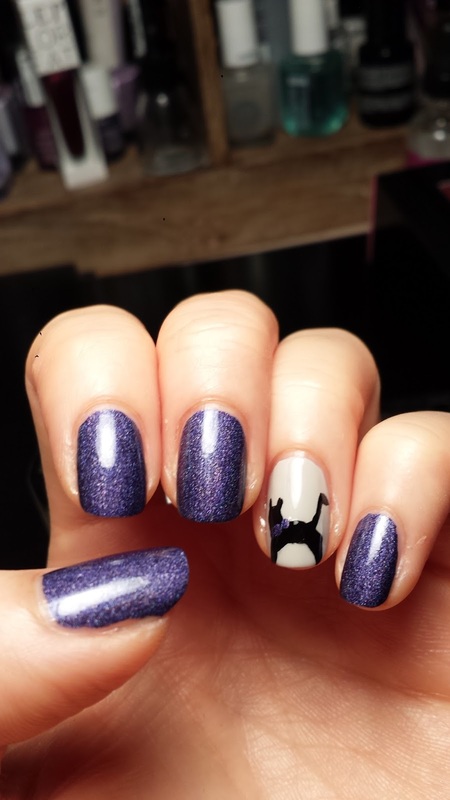 I used my nail striper and outlined the body then I just filled it in with black polish using a dotting tool. 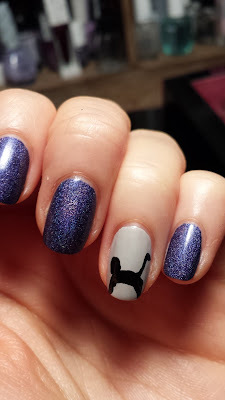 I added a little purple collar for the cat to match the rest of the manicure!